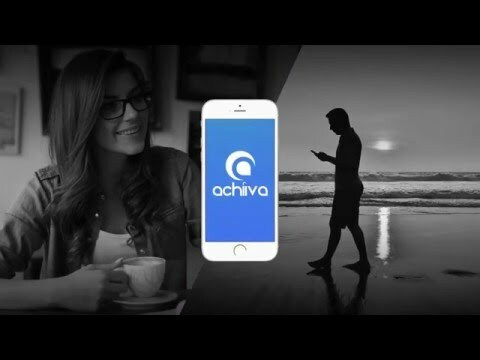 Achiiva is a cloud-based coaching platform which allows coaches to engage with their clients in real-time, and includes native apps for Android and iOS. The system is used by coaches, trainers, mentors, and managers, and allows users to manage coaching and private goals concurrently. Achiiva allows users to capture coaching data, track client progress, and drive accountability with its built-in tools. Clients and coaches can brainstorm goals and actions, and reorder goal steps by dragging-and-dropping them up or down the list. The dashboard gives users a snapshot of their clients’ progress, with real-time updates, and multiple coaching wheels can be created to measure client progress towards key outcomes. Clients can check in at any time, and capture their thoughts, feelings, or actions in personal journals. When changes are made by the coach or client, notifications are automatically generated to keep all users informed. With Achiiva, coaches can set up a coaching channel, and use this to share motivational, educational, or other information with different clients or groups. Posts can be published immediately or scheduled for later. Communication between clients and coaches is facilitated by in-app messaging, and all messages are stored in a client audit trail. That I didn't have this available 10 years ago! Would have saved myself so much time, energy and money. I am a personal development and corporate productivity coach. I've been using ACHIIVA for about 3 months and can report that the level of engagement with my clients has improved significantly. The messaging and journalling features allow for rapid and frequent feedback with the client, improving accountability on both our parts. I consider it a key basic concept of my coaching to build better conversations with my clients and for them, in their workplaces. I suppose I could say that ACHIIVA builds strong habits for clear conversations. I recommend ACHIIVA withouyt reservation. Pricing is based on the number of clients to be managed. Up to 5 clients: A$17.99/month. Up to 10 clients: A$34.99/month. Up to 20 clients: A$69.99/month. Up to 30 clients: A$103.99/month. Up to 50 clients: A$169.99/month. The real-time dashboard allows coaches to view progress updates and drive accountability. Private and shared goals can be created and tracked, with users able to brainstorm goal steps and rearrange step order through the drag-and-drop interface. Progress can be visualized and measured across multiple coaching wheels, and coaches can view clients’ progress check-ins. Coaches can set up their own coaching channel to share relevant motivational, educational, or other information with different clients or groups. In-app messaging facilitates communication between coaches and clients, with full message histories stored in an audit trail. Below are some frequently asked questions for Achiiva. Q. What type of pricing plans does Achiiva offer? Q. Who are the typical users of Achiiva? Q. What languages does Achiiva support? Q. Does Achiiva support mobile devices? Q. Does Achiiva offer an API? No, Achiiva does not have an API available. Q. What other apps does Achiiva integrate with? Q. What level of support does Achiiva offer?